Tim Tebow is a two-time national champion, first round NFL draft pick, and Heisman trophy winner. 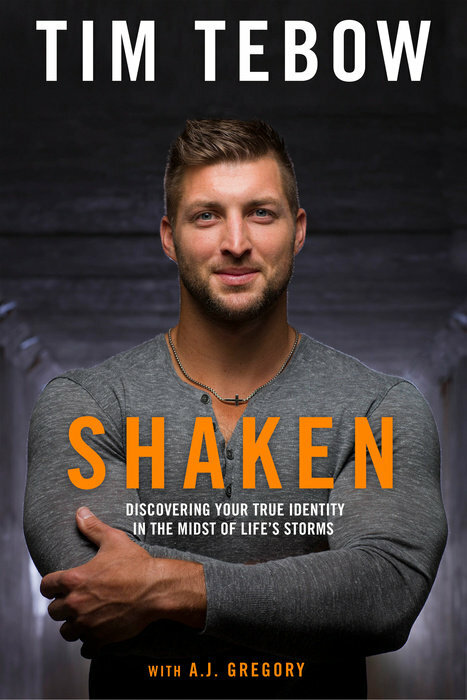 While leaving college, he founded the Tim Tebow Foundation, which exists to bring faith, hope and love to those needing a brighter day in their darkest hour of need. Each day the foundation fulfills this mission by making dreams come true for children with life-threatening illnesses, taking care of thousands of orphans worldwide, providing life-changing surgeries for children in the Philippines, and fighting for those who can’t fight for themselves. After playing in the NFL for the Denver Broncos and the New York Jets, Tebow joined the ESPN/SEC Network–in one of his current roles–as a football analyst. When he’s not talking sports, you can find him contributing to a variety of ESPN platforms and co-hosting FOX’s reality television show Home Free. 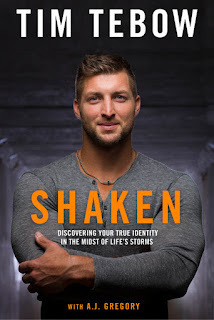 I am such a huge fan of Tim Tebow and this book made me think even more highly of him. He has been through so much in his young life but he keeps his priorities straight and relies on God for comfort and peace. He has been ridiculed and praised but he tries not to let either one define him. When I started reading his book, my heart broke at how he was treated by one of the football teams that he played for. I didn't realize how devastatingly horrible he was treated. I could so understand his feelings of rejection yet relying on God to get through it. I was so encouraged by this book! We can be shaken by life but we don't have to let it get us completely down or let it define us! I was so touched by how Tim helps people and his relationship with his family. He really shows how to keep his priorities straight and how to fully rely on the One who is always there, no matter what.